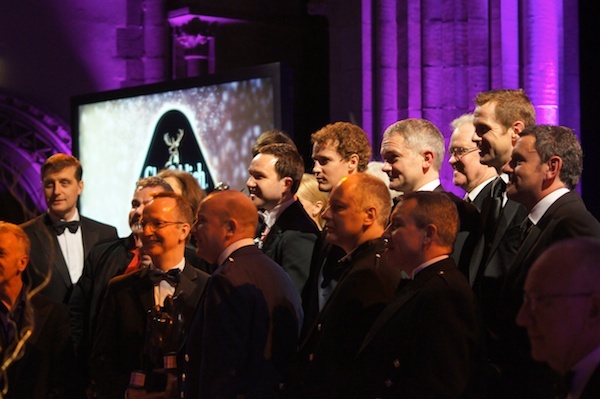 This year’s awards ceremony was held in the Mansfield Traquair and the competition in each category was fierce. Kirsty Wark compered the event, sponsored by Glenfiddich and The Scotsman, which at the end of the evening awarded Top Scot to the Director of National Museums Scotland, Dr Gordon Rintoul. One million visitors have been to see the newly renovated Museum in Chambers Street, which was the target for the first year. Many of Scotland’s finest business, creative and entrepreneurial minds were present, including the venerable John Byrne who lost out in the art nominees category to David Mach who has had such success this year at the City Art Centre with his Precious Light exhibition of collages and sculptures. But here is a visual sample of who was there…..